Unfortunately, getting into the United States with a criminal history is not as simple as showing up at the border with a valid Canadian passport. Canadians who have ever been convicted of a crime, regardless of how long ago the offence occurred, may be refused entry to the United States! In addition to being denied entry when attempting to travel to the USA, Canadians with a criminal record can also run into problems when transiting through US airports on their way to another country. Even if you have received a pardon from the Canadian government, you still risk being turned away or even detained at the US border because the United States does not recognize Canadian pardons. People make mistakes in their life, especially when they are young, and sometimes these mistakes lead to a criminal conviction. If you are a resident of Canada and have made such a mistake in your past, you could very well be denied entry to the United States on your next trip even if the crime occurred 10+ years ago. Many older Canadians with a bygone criminal record have been travelling south of the border trouble free for decades, but all of sudden in the past few years have found themselves unexpectedly shut out of the USA. After 9/11 the US Department of Homeland Security began taking a number of different measures to increase security at the border. As of 2010, US Customs and Border Protection (CBP) now has full access to the Canadian criminal databases including APIS and CPIC (maintained by the RCMP), and as a result Canadians with even a single criminal conviction dating as far back as the 1960s can find themselves inadmissible to the USA. If you are reading this, chances are you want to learn how to get into the United States with a criminal history as simply & easily as possible. The solution is to apply properly for and then successfully receive permission from the United States Department of Homeland Security. This permission comes in the form of a US Entry Waiver, which is a document that grants entry into the United States to a Canadian citizen who has a criminal conviction or another type of miscellaneous issue, such as an overstay during a previous trip, that would otherwise keep them from entering. A US Waiver of Inadmissibility can be issued for a time frame of one, two, or five years depending on a number of factors including the strength of the application, the seriousness and extent of the crimes that were committed, the amount of time since the convictions occurred, and whether or not it is a new Waiver or a Waiver renewal. A person can visit the United States multiple times during the duration of a single US Travel Waiver, but if they plan to stay for more than three months at once there may be additional forms that will need to be completed, notarized, and then attached to the application. While it is possible to apply for a US Entry Waiver yourself by completing Form I-192 which allows inadmissible non-immigrant aliens to request permission for temporary admittance to the United States, it is important to realize that it is a highly complex legal process that can easily overwhelm someone without professional assistance. The US Waiver application requires a significant amount of tedious paperwork including proof of citizenship, fingerprints, biographic information (form G-325A), police records, court documents, character references, rehabilitation docs, and even form I-212 if the individual has already been removed from or denied entry to the country. The Department of Homeland Security standards are extremely high, and forgetting to include even a single document can result in the entire application being rejected. For this reason, many Canadians choose the stress-free option of using a qualified US immigration lawyer to assist them. There is simply no faster way to obtain special permission to enter the United States than by retaining a professional. Our US immigration lawyer has extensive experience helping Canadians overcome criminal inadmissibility issues so they can successfully travel to the USA with a criminal record as quickly as possible! Let our team take care of the hard work for you, we are excellent at this! Contact us today for a free consultation! Do I Actually Need a US Waiver? The only way an individual that is inadmissible to the United States can legally enter the country is with a valid US Entry Waiver. If an ineligible person attempts to enter into the United States without a Travel Waiver they risk being detained, deported, and can even have their car confiscated. If the non-eligible person is flying into the US, they will not be allowed to board their flight and risk losing all the money they spent on airfare, hotels, and other travel-related expenses. Even if an individual already has a nonimmigrant visa such as the popular H-1B visa that allows American companies to employ Canadians in specialty occupations, a US Waiver 2019 is still needed to overcome criminal inadmissibility (including for alien re-entry). There are many reasons that a person may be found inadmissible to enter the US from Canada, ranging from criminal inadmissibility to immigration violations to health reasons. There are also several different types of US Waivers available to help inadmissible people gain entry to the USA legally depending on their particular situation. The US states of Colorado, Washington, Oregon, Alaska, California, Massachusetts, Nevada, and Vermont have all legalised recreational marijuana. Many other states have legalised medical marijuana. Cannabis remains a Schedule 1 controlled substance under US federal law, however, and the border is under federal jurisdiction. Consequently, any Canadian who admits to smoking pot to US Border Patrol may be considered criminally inadmissible to USA and refused entry. There have been dozens of news stories lately about cannabis users, cannabis entrepreneurs, and even cannabis investors being denied entrance at the US border. Canadians who are indirectly involved in the legal cannabis industry, such as those working for a company that produces equipment that can be used by cannabis businesses, may also be at risk of being banned for life from the United States. The Government of Canada has even started warning travellers that "previous use of cannabis, or any substance prohibited by US federal laws, could mean that you are denied entry to the US." Anyone who has been found to be criminally inadmissible to the USA due to their use of marijuana or association with the cannabis industry should obtain a US Entry Waiver before attempting to cross the border again. In October 2018, US Customs and Border Protection (CBP) released a statement that reverses their previous position that Canadians who work in the marijuana business may be barred from entering the United States. CBP now indicates that they are primarily concerned about Canadians travelling to USA specifically for cannabis-related purposes. According to CBP, "a Canadian citizen working in or facilitating the proliferation of the legal marijuana industry in Canada, coming to the US for reasons unrelated to the marijuana industry will generally be admissible to the US." Exactly Which Crimes Make a Canadian Inadmissible to USA? Other than a few exceptions, if you are a resident of Canada and have a criminal record (even if you have been pardoned) you will need a USA Waiver to visit the United States of America. Otherwise, you could be denied entry at the US border. Crimes that may cause a person to be inadmissible to the U.S.A. include crimes that involve moral turpitude (CIMT), all controlled substance violations (even a single offence of simple possession of Marijuana or any type of drug paraphernalia), two or more summary convictions (this does not include dangerous driving, DUI, or general assault), commercialized vice and prostitution, or serious criminal activities where immunity from prosecution is received. There is a lot of false information on the Internet claiming that as long as there was no "intent to distribute" involved, simple possession of illegal drugs such as marijuana, ecstasy (MDMA), cocaine, crack, psychedelic mushrooms, or opium will not result in the individual becoming inadmissible to the US since the immigration administrative proceeding does not use a controlled substance violation as a crime involving moral turpitude. This is incorrect, however, since a controlled substance violation is a CIMT under section 212(a)(2)(i)(II) of the Immigration and National Act (INA) causing the person to be non-eligible for entry to the United States of America. Crimes that involve moral turpitude are those crimes where conduct is vile, depraved, and contrary to the accepted rules of morality and the duties to society in general. Exactly which criminal offences are considered to involve moral turpitude is constantly changing due to its loose definition. Moral Turpitude is a legal concept in the United States that began appearing in US immigration law in the early 1800s and refers to conduct that is considered discordant to community ideals of honesty, justice, and strong morals. If a resident of Canada is convicted of a crime involving moral turpitude (CIMT), they will immediately become inadmissible to the USA according to section 212(a)(2)(a)(i) of the INA. According to section 212(a)(2)(A)(ii)(II) of the INA, even if an individual has committed a crime of moral turpitude, they may still be eligible for entry into US without a Waiver if the crime qualifies as a "petty offence." A CIMT is considered a petty offence if the maximum penalty for committing it is one year or less, and the person was sentenced to no more than six months imprisonment (the exact amount of time they actually ended up spending in jail does not matter). Regardless of whether or not the crime was a summary offence or an indictable offence, an experienced US Immigration Attorney could potentially show that the petty offence exception applies using a certified disposition from the court and a copy of the statute under which the person was convicted. If the crime you were convicted of does not meet the requirements of a petty offence, you will need a US Travel Waiver to enter American soil and must fill out USCIS Form I-192 with or without the help of a qualified USA immigration lawyer. I Have a Canadian Pardon, Do I Still Need a US Entry Waiver? Yes! Many Canadians incorrectly believe that as long as they have received a record suspension (formerly called a pardon), their criminal record is entirely erased and they can travel to the United States of America without problems. After all, once a pardon is granted by the National Parole Board it is only with written permission from the Minister of Justice that the sealed criminal record can be viewed (which only happens in extremely rare circumstances). The fact is, though, as of 2010 our neighbors to the south have access to every Canadians criminal record, and since the United States does not recognize Canadian pardons, they keep the conviction on file even when an individual is pardoned. A lot of the inaccurate information around this topic is, unfortunately, being disseminated by non-licensed individuals that offer USA Entry Waiver services. If you Google "can you cross the border with a criminal record pardon" you will find several websites suggesting that you can without the need of a US waiver, which is just not accurate in many cases. Some of this false information states "if you have never been denied entry into the United States for having a criminal record, a Canadian pardon will suffice" and "once a pardon is issued, a person's criminal record will not be revealed to US authorities at the border." It is important that a licensed U.S. immigration lawyer is able to analyze the issues with your particular case; be very careful because there are non-legal professionals offering to do US Waiver applications for Canadians. American border officials use the United States National Crime Information Center (NCIC) database, which is maintained by CJIS and the FBI and interlinked with federal, tribal, state, and local agencies, as well as with the RCMP and their CPIC database. When you hire a Canadian Pardon Services company and successfully receive a pardon from the Canadian government, your criminal conviction is permanently removed from the federal CPIC database, but it remains in the American NCIC database. This allows US Customs and Border Protection agents to see any criminal conviction a Canadian has ever had regardless of whether or not the person has obtained a record suspension. A Canadian record suspension (formerly pardon) might withhold your criminal history from a potential employer or landlord (any criminal background checks conducted will come back as "no criminal record found"), but the US customs officers will still be well aware of your past convictions. Many of the companies making these incorrect claims advertise themselves as "a lower cost alternative to other providers of US Entry Waivers," but clearly you get what you pay for. Even some law firm websites contain incorrect information on this subject, so if you are going to pay for professional help, it is highly advised that you select a highly experienced US immigration attorney in Canada that concentrates on US Entry Waivers. Contact us for a free consultation! Now that marijuana has been legalised in Canada, the Liberal Government has announced that it will expedite the processing of pardons for any Canadian with a minor cannabis-related criminal conviction that involved less than 30 grams of marijuana. More than 100,000 Canadians have a criminal record for having cannabis on their person, and the Government has pledged to waive the $631 pardon fee and eliminate the waiting period typically required for record suspensions. Even after receiving an official pardon, however, these Canadians could still be denied entry at the US border. According to Todd Owen, the assistant commissioner of field operations at US Customs and Border Protection (CBP), "we do not recognize the Canadian amnesty. If you have been the subject of a violation of US laws, that will still make you inadmissible to our country." Consequently, even after being granted amnesty by the Government of Canada, a Canadian with a conviction for simple possession of marijuana may still require a USA Waiver in order to cross the border successfully. There are several communicable diseases that are of a public health significance, and a person who has one of these diseases may not be allowed to enter the United States. The current list of diseases include Gonorrhea, Leprosy, Syphilis, Venereum, Lymphogranuloma, Inguinale, Granuloma, Chancroid, Class A Tuberculosis, as well as select physical disorders, mental disorders, and other communicable diseases as determined by the United States Secretary of Health and Human Services. An individual who refuses the required vaccinations to enter the country may be refused entry as well. A person that is diagnosed with one of the above illnesses can apply for a Waiver for US entry using form I-601, although there are several additional application requirements that will need to be met depending on the disease. Any person that has any type of security or other related violation will need to have a valid Travel Waiver to enter the United States. This includes people who have been accused of or convicted of being a saboteur, terrorist, or a spy. Persons who are voluntary members of the communist party or any other type of totalitarian party, including Nazis, and any person who would be an endangerment to the U.S. foreign policy will also need special permission to enter the USA (which requires they prove that they are not a threat to the general public of the country). There are some special circumstances where immigration violators and illegal entrants may apply for a U.S. Waiver. A person who has entered the United States without being paroled or admitted at a valid Port of Entry (POE) or a person who overstays their time in the country will accrue an unlawful presence. The time frame for the ban will depend on how long the person was in the country illegally. A person who is found to be inadmissible because they have been unlawfully present in the country for over 180 days will receive a three year ban and those that enter and stay for more than a year will receive a ten year ban. If the person has left the United States voluntarily, they can apply for a Waiver for entering US on grounds of overstay inadmissibility using form I-601. If the person has knowingly or willfully committed fraud or made misrepresentations to obtain some type of immigration benefit, he or she can also apply for a USA Entry Waiver using form I-601. A person that has been deported or been given expedited removal will also need to file another form, I-212, which is an application to reapply for admission provided they are seeking non-immigrant entry. Any person that has been in the U.S.A. unlawfully for more than a year and has exited the country and then re-entered without being inspected will also need to file the form for a United States Waiver in order to have their unlawful presence waived. Any alien who has falsely claimed that they are a citizen of the United States of America after the 30th of September, 1996, will not be eligible for any type of US Waiver. The Immigration and Nationality Act, which is a federal law permanently bans these individuals from entering the United States. Any person who has ever falsely claimed to be a citizen of the United States will be banned from the country for life, and there is no Travel Waiver for US entry that will be issued that would allow them to enter the country again, except possibly in extreme circumstances (but this is exceptionally rare). Anyone who left the United States in order to avoid conscription or a person who unlawfully left the United States armed forces and has not regularized his or her status in the U.S.A. may have an outstanding warrant for their arrest or may be ineligible to enter the United States. Anyone unsure about this can contact the nearest CBP or DHS office and inquire about their status. Even those individuals who were not in the military, but left the United States on uncertain terms may find that there is a warrant for their arrest in the United States. If this is the case, and you attempt to enter the country you will be arrested upon your arrival. Typically, you will be sent to the state where your warrant is. Check with a local DHS or CBP office to determine whether or not there is a US warrant for your arrest. Aside from the reasons listed above, there are several other miscellaneous reasons that a person may be found to be inadmissible to the United States. Some of these reasons include, but are not limited to: being a practicing polygamist, a guardian that is accompanying a helpless alien, international child abductors, relatives who support abductors, and former citizens of the United States who have been found by the Attorney General to have renounced their citizenship as a way to avoid paying taxes owed to the IRS. US Waivers may be granted for several humanitarian purposes including to make sure that a family is able to stay together or in cases of extreme hardship. This applies when the applicant is the spouse, parent, daughter, son, brother, sister, or fiancé of a citizen of the United States, or is the son, daughter, or spouse of a lawful permanent resident of the USA. United States Customs and Border Protection officers have the legal authority to search digital devices, such as laptops or phones, at the border. Since entry to the USA is granted solely at the discretion of border agents, Canadians who refuse to unlock their phone or provide their social media or email passwords when asked by authorities risk being denied entry as well as having the device seized. If the contents of the cell phone, tablet or laptop, or the visitor's social media accounts, in any way reveal an immigration violation or security threat, the visitor could be banned from the US for a considerable duration. For example, a Canadian who has recently posted a Facebook status update mentioning their new job in California could be turned away by CBP agents if they do not have a valid US work permit. If you are a Canadian citizen, a visa is not required when travelling to the U.S. for the purpose of visiting or studying. You will, however, need a valid Canadian passport to travel from Canada to the United States even by land (this requirement started in 2007). If you are an investor, an intending immigrant planning on staying in the country, or are engaged to an American, a visa is required before entering. If you are a NAFTA professional, a temporary worker, or a journalist who will work in the USA, you must show the CBP officer at the Port of Entry all the necessary supporting documentation and approved petitions in order to be allowed in. Canadians visiting the U.S. are generally granted a stay of 6 months at the time of entry, and any requests to extend this time frame must be made before expiry (at which point the individual has officially overstayed their visit and is in violation of US immigration law which will likely lead to a harsh punishment). US law also requires that all foreigners qualify for their desired stay and purpose when they first enter the country, meaning that any person from Canada that intends to work, study, or live in the United States without fully disclosing this info during their initial entry risks being unlawfully present. For individuals who are not Canadian citizens, travelling to the United States from Canada is no different than travelling to the US from their own country. If the person is a citizen of one of the 38 countries eligible for entry into the USA visa-free under the Visa Waiver Program (VWP), then they can cross the border the same as a Canadian provided they have a valid passport and are not inadmissible due to a criminal record, overstaying on a past trip, or miscellaneous other reason. If the person is not visa exempt via the Visa Waiver Program, then the entry requirement of a valid US Visa will still exist even though they are physically travelling from Canada not their home country. Non-Canadians who are inadmissible to US for criminal or health reasons must also complete the US Waiver application form since they will require permission to enter USA with a criminal record just like citizens of Canada. Native Americans who were born in Canada and are Members of Canada's First Nations can travel freely across the US/Canada border under the terms of the Jay Treaty provided they do not have a criminal history. First Nations in Canada require a US Waiver for criminal entry into the United States. In some cases, a person may admit to being guilty of a crime, but instead of convicting them the court will decide to discharge the accused either absolutely or with conditions described in a probation order. While a discharge is not a conviction, it is still considered evidence of guilt and could mean that a person is inadmissible to the United States. For this reason, the same rules apply to a discharge as to a conviction, meaning a conditional discharge or absolute discharge for a given crime will be treated by US border agents in a similar manner to a conviction for that crime. Absolute discharges stay on a person’s record for a year while conditional discharges stay on a person’s record for three years. It is a good idea to obtain a criminal record check after the one or three year time period is completed to make sure that it has been 100% removed. When it comes to a discharge, there are several things that can occur to cause it to not fully come off your record. The courts may have recorded the discharge as a conviction meaning it will not automatically be purged after it expires, or the discharge could be removed from the RCMP database successfully but an FPS number still associated with your name might not have been properly purged as well which could still lead to a positive hit at the Canada-US border. If you plan on entering USA with a criminal discharge, it is advised that you have a lawyer prepare a Legal Opinion Letter explaining your exact situation to US immigration authorities. US Waivers After Arrest but No Conviction? There is no presumption of innocence for the purposes of US immigration, which means that as soon as you are arrested for a crime in Canada, you risk being denied entry to United States. If you are found not guilty, have the charges dropped, or receive a different type of "no conviction" outcome, an American waiver is not required as you will once again be permitted to travel south of the border. Where in the Country Does a USA Waiver Allow Me to Travel? Once you are issued a US Travel Waiver, you are permitted to travel to any location in the United States. Some of the most popular destinations for Canadian tourists are Florida, California, Washington State (Seattle), New York, and Hawaii. The process for a criminally inadmissible individual to travel to the United States is quite simple. A lawyer prepares and submits a US Waiver form to the government on their behalf, they are issued a Waiver for US entry, and then they are allowed to cross the border without issues. A Canadian with a criminal record is not necessarily inadmissible to the United States, it all depends on the exact nature of the offence. A Canadian with a DUI, for example, may still be admissible to the US, while an individual with a minor drug offence on their record may require a Travel Waiver in order to cross the border. With a valid USA Waiver, entering the US with a criminal record is possible at both land borders and airports. If you have a criminal history and are concerned about a potential border denial, it may be smart to determine your precise admissibility before attempting to travel to the United States. If you are in fact criminally inadmissible to the country, it is likely better to learn this beforehand than find out the hard way when attempting to cross the border. A US Entry Waiver is the only way to overcome American criminal inadmissibility so that you can go to the US with a criminal record that would otherwise render you ineligible. What is a 212(h) Waiver? If a Canadian committed a crime more than 15 years ago that denies them admittance to the United States, a 212h Waiver may allow them legal entry into the country. Section 212(h) of the Immigration and Nationality Act, or INA 212(h)(1)(A) to be specific, provides that on certain grounds such as when the person has been rehabilitated and when admission would not be contrary to the USA's welfare, safety, or security, offences older than 15 years may be waived. If you have been denied entry to USA because of a really old criminal conviction, it is advised that you consult with a US immigration attorney to find out which US entry waivers can help you with crossing the US border. US Waivers enable a foreign national to travel to the United States with a criminal record that would otherwise render them ineligible to cross the border. A US Travel Waiver requires a person to get fingerprinted in order to obtain their Royal Canadian Mounted Police or RCMP criminal file via Form C-216C. Some people think that getting special permission to enter the United States with a criminal record is as easy as downloading the US Entry Waiver forms and quickly fill them out. The US Entry Waiver application is actually a complex legal operation, however, and it is advised that you seek professional help when applying for one if you wish to be successful. Whether you plan to visit Florida, California, Washington, New York, Texas, or any other State, the only way to secure entrance admission when you are inadmissible because of criminality is by virtue of a US Entry Waiver Application Form. Please note, if you have a DUI or other crime that does not involve moral turpitude you may be eligible for U.S. travel without official access approval (no permit will be needed when crossing the border or flying to the country). To learn more about US Citizenship and Immigration Services (USCIS), you can visit the official USCIS website here. A new information-sharing agreement between the United States and Canada, called the Entry Exit Initiative, will allow the American border to track exactly how many days Canadians have spent in the nation. Before this agreement was finalized in 2015, the U.S. border could only track a Canadian's re-entry date, not the date they exited the United States. This will make it much easier for U.S. immigration officials to detect overstay violations, especially amongst "snowbirds" who spend their winters south of the border. How Long Can I Spend in USA Each Year? A common misconception amongst Canadians is that they can spend up to 6 months, or 182 days, in the United States each year without any paperwork. This is false, it is actually only 4 months, or 120 days. Canadians must fill out a special form in order to extend their stay in the US to six months. Any Canadian citizen or resident that stays in the United States for too long can be deemed illegally in the U.S. and barred from the country for three to ten years. They can also lose their Canadian residency and consequently their free health care, and may even be considered a resident of the U.S. and consequently be responsible to the IRS for taxes. If you have overstayed a visit south of the border and need to re-enter the country again, you will need a U.S. Travel Waiver in order to be permitted entry. President Donald Trump campaigned aggressively as the "law and order candidate," and since being sworn into office has issued a number of executive orders designed to better secure America. Under President Trump, the US Department of Homeland Security has been tightening security at American borders and more thoroughly vetting visitors. Consequently, for Canadians that are criminally inadmissible to the United States, it is more important than ever to obtain a US Entry Waiver if you plan to travel to south of the border in 2019. Our US immigration lawyer in Toronto offers free consultations, and has helped countless Canadians apply for a US Waiver over the years. How Does a US Immigration Lawyer Help? There are several reasons why many Canadians choose to retain the services of a US immigration attorney to help them apply for a US Entry Waiver. The first and most obvious is that USA immigration lawyers help ensure the completeness and correctness of the US Entry Waiver application form. A US Temporary Waiver of Inadmissibility is a complex legal application and it is very easy to make a mistake, but an experienced lawyer will ensure that the application is complete, accurate, and does not contain any errors. Another major advantage of hiring a law firm to assist you is that they will know exactly which additional documentation you can provide to bolster your application. A United States immigration lawyer can not only improve your chances of being approved by crafting an impressive narrative on why you need to travel to the US, he or she can also strengthen your application by suggesting specific types of supporting documentation that would best demonstrate that you have been fully rehabilitated. If you have a criminal record, why risk being refused entry to USA when a Canadian based U.S. immigration lawyer can maximize your chances of successful entry by helping you properly prepare a US Waiver application? US immigration attorneys can also help you prepare for your interview and can coach their clients on how to best explain their situation to border officials. Applying for US Waivers can involve a staggering amount of paperwork, but retaining the services of a reputable US Immigration Attorney in Canada can often reduce the amount of stress involved with dealing with such a complicated procedure. One of the most difficult tasks people who attempt to apply on their own face is actually paying the US government the $585 waiver application filing fee. The US Department of Homeland Security only accepts cheques and money orders drawn from American financial institutions, which is a major problem for the vast majority of Canadians who do not have an account with a US bank. When you hire a lawyer, however, you simply pay this government fee directly to them (in trust) using credit card or whatever payment method you desire and they handle ensuring the government gets paid properly. Please note: the fee for US Entry Waivers may increase in 2020. Our United States immigration attorney accepts clients from the following provinces: British Columbia (BC), Alberta (AB), Saskatchewan (SK), Manitoba (MB), Ontario (ON), Quebec (QC), New Brunswick (NB), Nova Scotia (NS), Prince Edward Island (PE), and Newfoundland (NL). We also accept clients from Yukon (YK), Northwest Territories (NT), and Nunavut (NU), and will accept international clients on a case by case basis. If you are considering doing business with a website that offers US Waiver services, it is suggested that you verify whether or not the legal work will be done by a licensed lawyer. If the company makes claims such as "we are the best in the industry," "we guarantee success," or "for an extra fee we will get the Government to process your US Travel Waiver application faster" it is highly unlikely that the website is being run by a reputable law firm since these types of statements are frequently against bar society rules. A United States immigration lawyer in Canada is qualified to give legal advice to Canadians who have been denied entry to USA and can help clients gain smooth entry to the United States of America. US Waiver entry is easy once the document has been issued, but gathering all the required paperwork needed to apply for one can be a difficult task especially after a person has received a Canadian criminal record pardon. Once a record suspension has been granted, it can be burdensome to assemble all the compulsory documentation for the application, so assistance from an experienced US immigration lawyer can greatly help. Many people reading this website are wondering how to get a US Waiver fast. 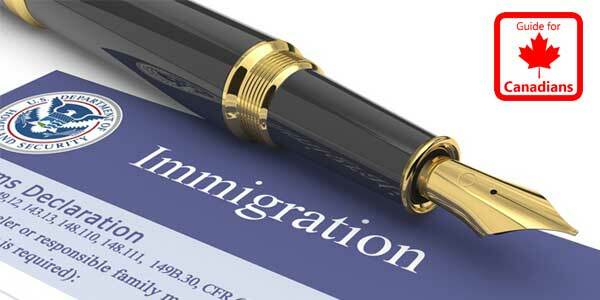 There is no quicker way to obtain a United States Waiver than by retaining the services of an immigration attorney! If you are sitting there reading this asking yourself "can I travel to the US with a criminal record?" we encourage you to pick up the phone and call us right now to get real answers to your questions. We offer free one on one consultations, and aim to help make visiting USA with a criminal history as easy as possible for Canadians! Via the Visa Waiver Program? If I Lie at the Border? If I'm from a "Muslim Country"?